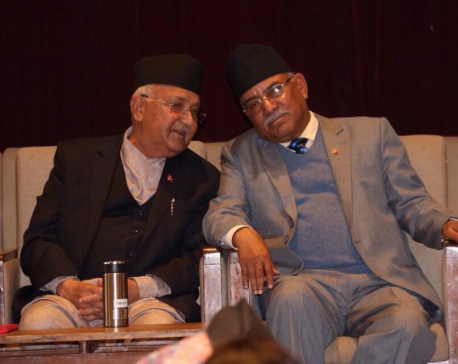 KATHMANDU, May 17: CPN-UML and CPN (Maoist Center) have met separately to disolve their respective parties on Thursday. UML and Maoist Center are all set to undergo merger today on the occasion of Madan Aashrit Memorandum Day at Rastriya Shaba Griha. The newly formed party will be Communist Pary of Nepal. 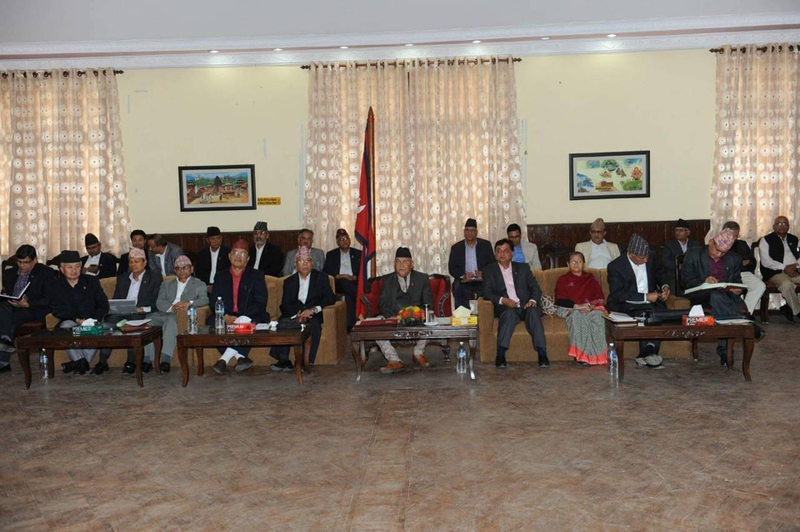 The UML central committee meeting took place at the Prime Minister's Official residence in Baluwatar while Maoist Center held its CC meeting at Maoist Center chair Puspa Kamal Dahal's residence in Khumaltar. Prior to this, a meeting of the Party unification Coordination committee endorsed the statue of the unified party. The coordination committee has agreed to resgister a new party at the Office of Election Commission, Jamal today itself following the unified CC meeting. The new party will be guided ideologically by the philosophy of Marxist –Leninist and on political line, People's Democracy will be adopted and leadership of the new party will be shared alternatively. 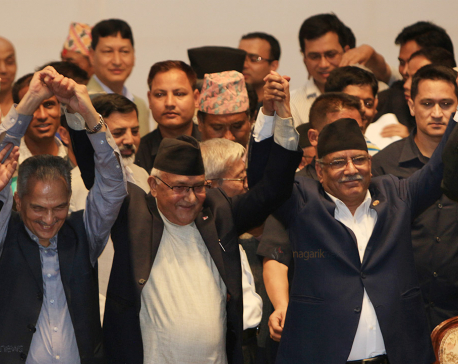 The new party will have 441-member central committee (241 members from the UML and 200 from the Maoist Center). Likewise, it will have a 43-member standing committee with 25 representatives from the UML and 18 from the Maoist Centre. The party will have 'Sun' as its electoral symbol, the one the UML has been using for long.